The story of Pro-Ject goes back more than 25 years and they are widely recognised as one of the finest turntable manufacturers in the world. The continous investment in research and develepment see's Pro-Ject's constantly developing new models, enabling them to be at the top of their game. Since August, Pro-Ject Audio Systems have been off on tour across the country, visiting some of the UK's premier hi-fi retailers for The Turntable Experience Tour. They have been showcasing their wide range of products varying from £149.00 - £6,500.00. The first stop on the Pro-Ject Roadshow took us to Zouch Audio in the small town of Ashby de la Zouch in Leicestershire. The sun was shining, the barbecue was fired up and the demo room was full with everyone eager to see what the latest Henley event was all about. Aside from the array of Pro-Ject turntables and the Pro-Ject Tube Box DS2, they opted to use Luxman amplification and DALI speakers for this presentation. The first note on the first turntable, the Debut Carbon told us that this was a great combination and each step up the range delivered a more musical, more realistic and more engaging performance. We were very pleased to see that we had a great group of visitors with a huge variety of different systems, spanning different budgets and different tastes and plenty of Pro-Ject owners. This meant that each part of the demonstration struck different chords with everyone - the demonstration showing the importance of a good cartridge was met with universal praise. We finished the presentation with a lively conversation covering all aspects of turntable design and most importantly, music. By this time, the barbecue had warmed up and we were met with a fine feast of barbecued delights to enjoy while we listened to our final statement piece, The Classic VPO. Like the food, this went down a storm. Our second stop on the Pro-Ject Tour took us to Aylesbury and to Deco Audio. Peter and his team had chosen to use a valve amplifier with high efficiency speakers, Audion Silver Knight Special Edition and Audio Note AN-E/SPE to deliver a sublime sonic performance. 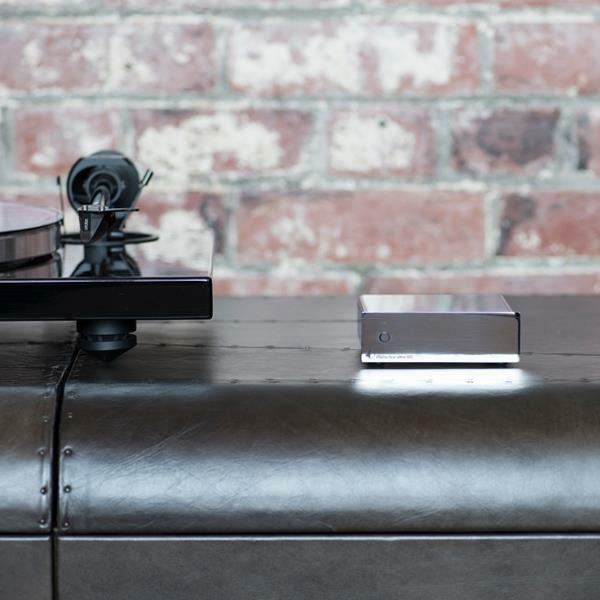 Like our experience at Zouch Audio, the first note played by the Debut Carbon told us that this was a combination that worked and each improvement in tonearm, platter and cartridge delivered a more engaging, more enjoyable performance. This time, the 6 Perpex with Quintet Black was a firm favourite amongst our guests and once again, The Classic VPO, this time paired with the Pro-Ject Phono Box RS, was a huge hit in both sheer musicality and undisputed beauty. Peter had laid on a veritable feast of delicacies accompanied by the best coffee in all of Buckinghamshire. It was great see visitors with a variety of different systems and musical tastes which led to a great afternoon of enjoying great music and great company. Our second stop on the Pro-Ject Tour was at Audio T in Preston. We presented the Pro-Ject line-up to an enthusiastic group of existing customers, already familiar with the high level of sales experience and profession advice from the staff working here. We used Naim amplification with our own Pro-Ject Audio Tube Box DS2 and a pair of KEF speakers and carried out the days demonstrations in the main showroom area of the shop. All aspects of the demonstrations were met with excellent feedback from the audience. It was fantastic to see the positive reactions of the visitors to the clear progressive differences as we went through the range. We also looked at and discussed the many aspects of arms, platters, cartridges, plinths and of course the music involved throughout the whole presentation. The fourth stop of our Pro-Ject Experience Tour was held at the famous Doug Brady Hi-Fi in Warrington. 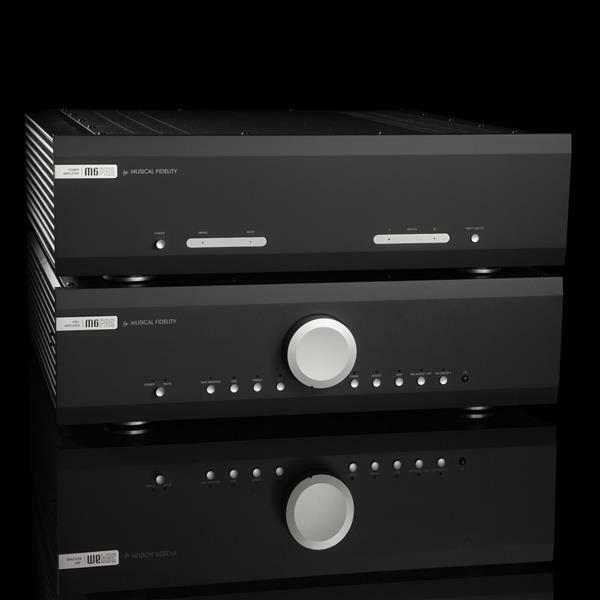 The staff here have a wealth of experience and expertise in all aspects of two channel hi-fi. Following a very successful and enjoyable Ortofon Road Show event we held here last year, it made prefect sense to make another visit for this event. It was very good to see some of the visitors here from last year's Ortofon Road Show and they were all very keen to hear the difference we had to demonstrate. There was a whiole wealth of system combinations owned by those who came and this prompted some interesting discussions. During this series of demonstrations, one of the most popular models turned out to be the 6 Perspex SB (equipped with an Ortofon Quintet Black), being the only fully suspended plinth model in the Pro-Ject catalogue. It was a great pleasure discussing many aspects of the turntables with the attendees and to top it all off, Doug Brady very kindly put on a sumptuous food buffet for everyone to enjoy. Another sunny day and another stop on the Pro-Ject Experience Tour, this time we visited Hull, the 2017 European City of Culture and home to Fanthorpes HiFi. This store has been a long supporter for Henley and has a variety of products on display from our ranges, especially some of our high end offerings. The day ran over two busy presentations, starting at 11 am followed by one in the afternoon. It was nice to hear Marc, Fanthorpes Managing Director, give a lovely introduction about how the store was founded 70 years ago. Marc and his team had made preparations and had chosen to use Luxman amplification, paired with Klipsch Forte loudspeakers. This was definitely different in presentation from the systems we have used in our previous events but it sounded superb. An all around great and successful event! The sixth stop on our Pro-Ject Experience Tour took us to the Rayleigh branch of Raleigh HiFi. A group of stores with over 40 years in the business. There is a strong presence of Henley brands in this store, ranging from Ortofon, Unison Research to Pro-Ject Audio Systems. This week, Andy, Glen and Joe opted to use Roksan Electronics and Avalon speakers for a packed afternoon demonstration. The system sounded superb, revealing, open and detailed, allowing the improvements from each part of the demonstration to shine through. It was great to see a great number of visitors who already were proud owners of Ortofon and Pro-Ject products. Amongst the great feedback on all the turntables, the 6 Perspex was yet again, another big hit. We finished the day with a condensed version of our Ortofon comparison as we were lucky enough to have the Pro-Ject Signature 10 with us, highlighting the benefits of moving from an Ortofon Quintet Black up to the Cadenza Black. Like last year, this was very well received. Considering it was excellent weather I was pleased to see the number of people come to the seventh stop of our Pro-Ject Experience tour held at Moorgate Acoustics in Sheffield. Moorgate is a family run business with 29 years worth of retail experience and a passion for sound. The day’s events went well and we had interesting discussions about many aspects of Vinyl replay and about the complete set up that was on display. Not only did we have successful demonstrations, but Moorgate Acoustics provided a splendid buffet which added to a very enjoyable day. The next top on the Pro-Ject Tour takes us to Gloucestershire, home to Ceritech Audio. We had a great turnout throughout the two demonstrations! The system That Ceritech decided to use to demonstrate the Pro-Ject turntables was made up of Moon amplification & Dynaudio speakers. The attendees were really able to notice changes throughout the demonstrations but the most being the steel platter to the acrylic platter change & the demonstration between the 6 Perspex & the Xtension 9! It was great see that we had a great group of attendees with a huge variety of different systems, spanning different budgets and different tastes, this meant some excellent mixed feedback and some wonderful discussion between all. The ninth stop of our Pro-Ject Experience Tour was planned for 5pm at Sevenoaks Sound & Vision in Witham. There were eager customers arriving from 4pm so all the signs were there for a good evening. Once under way we quickly moved onto the demonstration showing the sonic improvements from a metal platter to the acrylic, again changing the cartridge all in attendance agreed improvements were obvious. It was when we went from Debut Carbon to the Xpression Carbon that the ensemble all agreed this was the biggest improvement so far and this was down to the tonearm upgrade, which was discussed in detail after. Working through the range with the two acrylic models onto the Xtension 9 it was a vinyl journey and all were on board. We finished with the VPO and as expected this did not disappoint, adding great bass weight to London Grammar and ‘Hey Now’ was a fitting end to a very enjoyable evening. The tenth stop on the Pro-Ject Audio Experience Tour takes us to Island Photo Centre. This was the first event that they had ever ran outside the photographic industry and everybody loved it. We were very pleased to see that we had a great group of visitors with a huge variety of different systems. This meant that each part of the demonstration struck different chords with everyone which prompted lots of questions from all. Due to the success at Island Photo Centre, we will now look to bring more events here in the future. The Pro-Ject Audio Experience Tour eleventh stop takes us to Peter Tyson in Carlisle. This event was held on a sunny day in the new and impressive Peter Tyson’s store and we had a succesful turnout. First event of the day included a vinyl cleaning experience using the Pro-Ject Audio VC-S, we compared results from before and after with positive feedback from all in attendance. The Pro-Ject turntable event that was held later in the day was also positive and successful, featuring a clear progression through the models noticed by everyone - the Xtension-9 Superpack turning out to be the firm favourite, along with the ‘vinyl cakes’ made in house. What a way to spend wet and windy evening in Cardiff, good music and an entertaining demonstration. The penultimate event takes us to Audio T where the customers enjoyed all all aspects from the music to the more technical aspects. Hefin, Nick and Kerrin of Audio T had prepared a systems consisting of Naim, PMC, and as usual paired with the Pro-Ject Audio Tube Box DS2 and a variety of Pro-Ject turntables. The Pro-Ject Audio 175 Vienna Philharmonic Record Player caused a big stir in the shop with everyone commenting on the beautiful looks, exceptionally high standard of finish and of course, the beautiful sound. The fact the VPO utilises a detachable headshell meant that we could show off the benefits of easily changing cartridges. View the whole Pro-Ject range in our Product Catalogue.